Money makes the world go round. Allegedly, money is also the root of all evil, while everyone knows that money talks but definitely does not grow on trees. Whatever the case, everyone would probably like to have more money. Unfortunately, this is easier said than done, as studies show that only 35% of Australians are satisfied with their financial wellbeing . 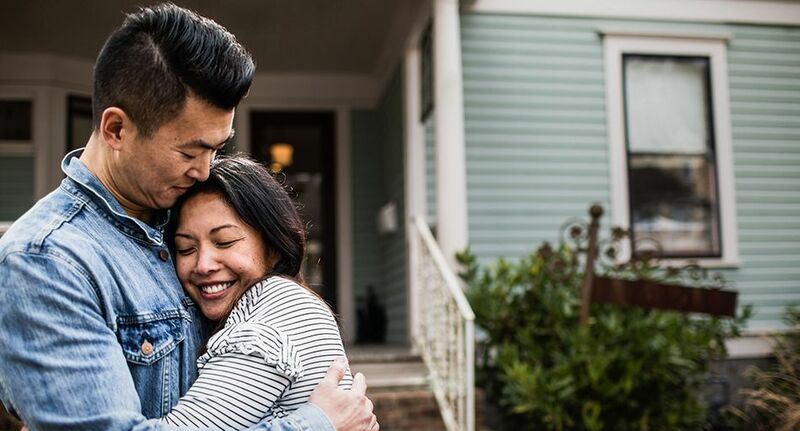 Accordingly, a new survey by Budget Direct has revealed trends and attitudes for a range of financial topics, including home ownership, retirement funds, and financial literacy. The survey used a sample size of 1,000 people weighted to be representative of Australian adults aged 18+. If you graduated high school without fully understanding interest rates, or how superannuation works, then don’t worry, because you’re not alone. In fact, 81.9% of respondents agree that Australian schools should introduce mandatory financial matters subjects. This was a popular opinion among all surveyed demographics, with 65+ year olds being the only age group in which fewer than three quarters (73.7%) of respondents agreed. As such, surveyed Australians overwhelmingly believe it is important to educate children on financial topics from a young age. This is particularly pertinent, as younger children tend to be more open to new information. Thus, mandatory financial education subjects might help teach children positive financial habits they can use throughout their life. As a result, almost three quarters (73.1%) of respondents believe they would be better off financially if they had been taught more about financial topics at school. Respondents listed ‘saving’, ‘budgeting’, ‘tax’, ‘debt management’, and ‘insurance’ as the top five most important financial topics for children to learn about at school. 86.7% of surveyed 18-24 year olds thought they would be better off financially if they had been taught more about financial topics at school, a figure which dropped to 53.8% of 55-64 year olds. This might indicate that Australians now leave school feeling less confident about their financial literacy than in the past, or, conversely, that financial literacy improves with age and experience. A recent survey by Household, Income and Labour Dynamics in Australia (HILDA) shows that respondents’ concerns about their financial wellbeing might be founded, as only 49.9% of men and 35.4% of women could correctly answer five basic financial literacy questions . When it came to other financial matters, responses were more evenly split. Owning your own home is supposed to be the ‘Australian dream’, yet, there was no clear consensus for when respondents thought they would have enough funds to buy a home. Rather, the most common response was ‘other’ (28.3%), indicating that almost one-third of respondents were unsure when they would have enough money to buy a home. Almost one quarter (24%) of respondents thought they would have enough money to buy a home by age 25-34, making this the next most common response. For context, the average age of a first-home buyer in Australia is currently 31 . For those who are planning to buy a home, more than half of respondents (51.7%) expect average house prices in their area to increase over the next year. Only 19.1% expect prices to decrease, while the remaining 29.2% thought average house prices would stay the same. Women were more likely than surveyed men to think average house prices in their area would increase over the next year – 58% vs 45.1% – while 18-24 year olds were especially concerned, with 77.3% thinking average house prices in their area would increase over the next year. This was almost double 55-64 year olds, where only 41.8% expected house prices to rise. Tasmanians and Queenslanders were more likely to believe house prices would increase over the next year, with 64% and 61.8% respectively, while respondents in Western Australian and New South Wales were slightly more optimistic, with only 41.7% and 47.8% believing house prices would rise over the next year. These results correspond with national house pricing trends. As of October 2018, average house prices had increased by 0.4% in Brisbane and 9.7% in Hobart while decreasing by 7.4% in Sydney and 3.3% in Perth . As with buying a home, almost one-third of respondents didn’t know when they would have enough funds to comfortably retire. 28.2% responded ‘don’t know’ when asked when they would have enough funds to comfortably retire, making this the most common response. 61-65 (19.4%) and 66-70 (15%) were the next most common answers. To put this in context, the average retirement age in Australia over the last five years is 62.9 years . Older respondents were less likely to know when they would have enough funds to comfortably retire. Only 16% of surveyed 25-34 year olds said they didn’t know when they would have enough funds to retire, compared to 39.4% of 55-64 year olds and 37.6% of 65+ year olds. Thus, despite nearing or exceeding the average retirement age, many older respondents were unsure when they would have enough funds to retire. This survey was conducted by Pure Profile on behalf of Budget Direct in October 2018. All figures are from this research unless stated otherwise. The survey was conducted online with a total sample size of 1,000 weighted and representative of all Australian adults (aged 18+).